Buddy is our happy male, always wagging his tail! 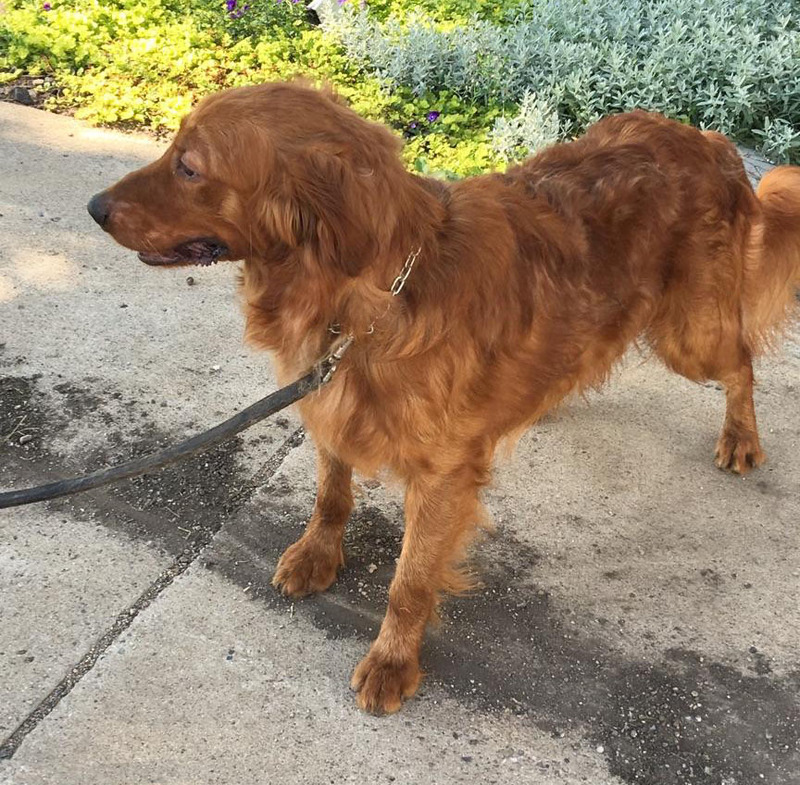 He is dark red, like our other female Goldens, and is very playful. 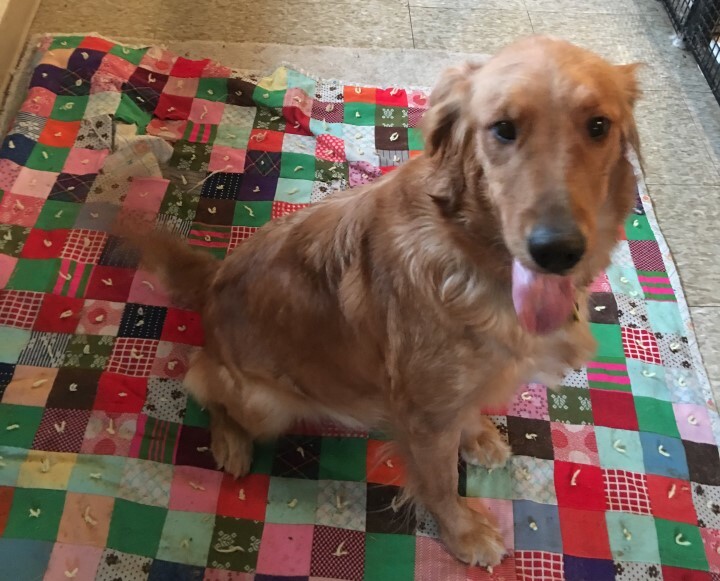 Sadie is a deep red Golden Retriever and very loving and friendly. Sadie is a daughter of our older male, Charlie. 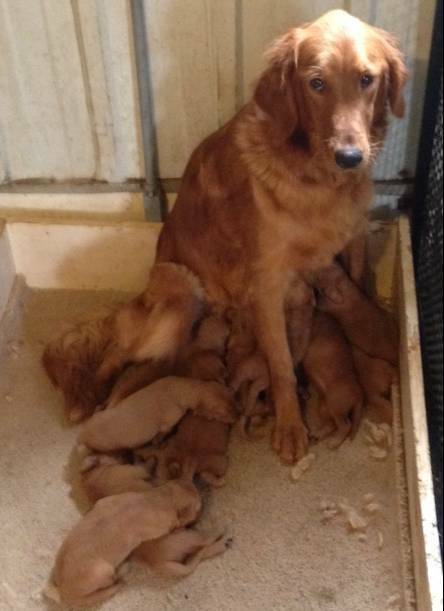 Cali is a young female who is a daughter of one of our past breeding Retrievers, Charlie. 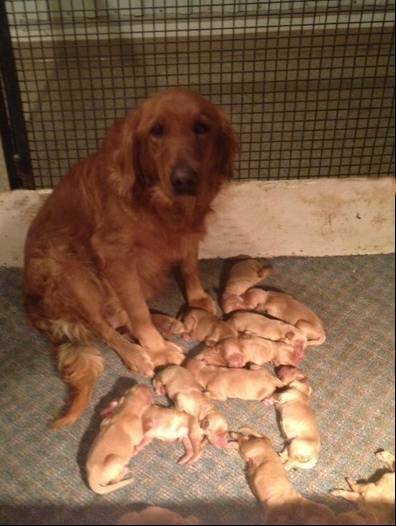 She is a medium red Golden Retriever. Belle is one of our newer additions to the Schelhaas Family Farm. 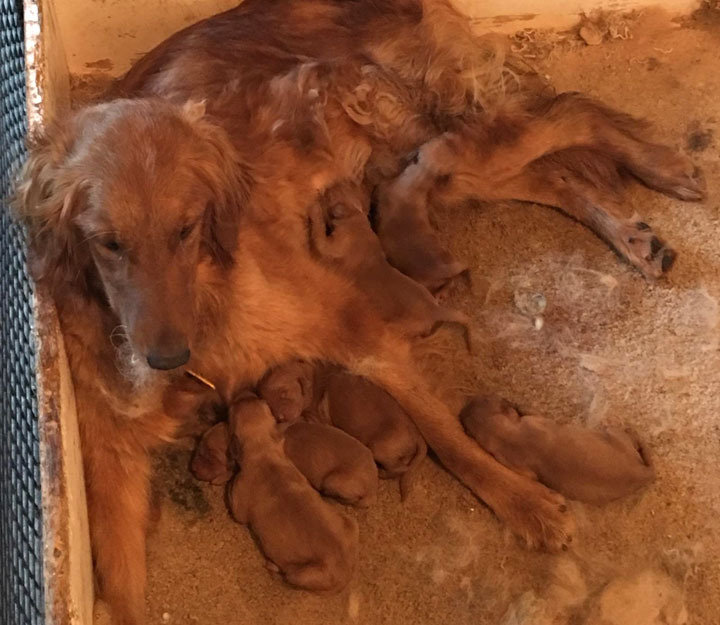 She is dark red and is turning out to be a good little mama with her first litter this summer, 2016. Sabrina is beautiful and gentle and is always ready for a good belly rub! She is a sister of Kelly and Kris, all daughters of our Charlie. Their mother belongs to a friend of ours. If you are old enough to remember the show, "Charlie's Angels", you will see where we got their names from. Sabrina is the smallest of the sisters, weighing 60 pounds at her check up this Spring. Kris is a sister of Kelly and Sabrina, all are daughters of our older male, Charlie. Her mother belongs to a friend of ours. As we said before, the three were names after "Charlie's Angels". Kris has a very dark colored coat and now weighs in at 66 pounds. 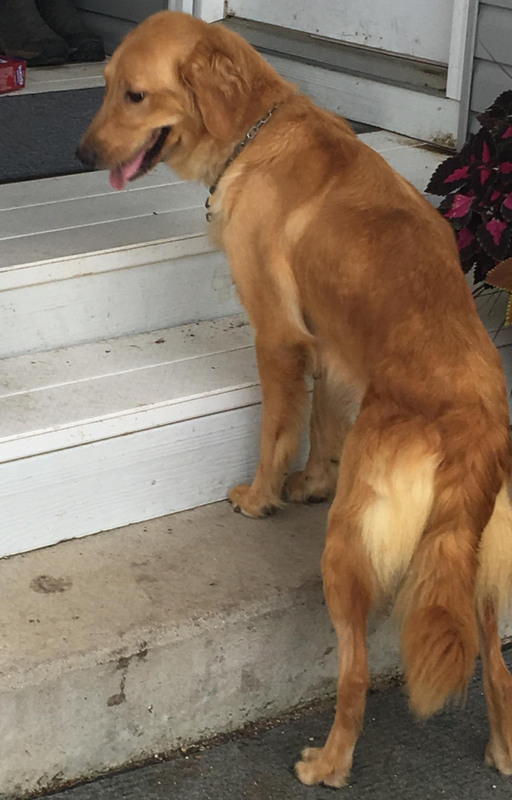 Kris and her sisters all have that loving, affectionate Golden Retriever personality.